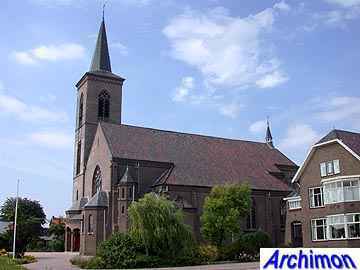 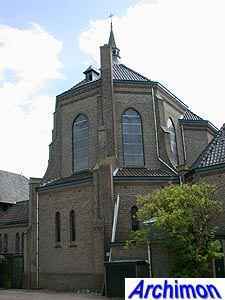 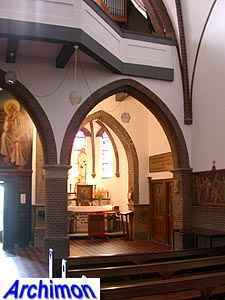 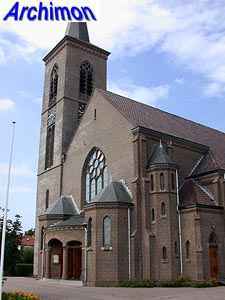 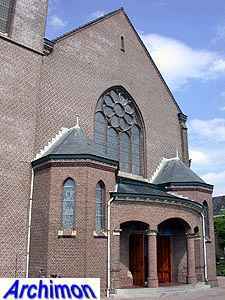 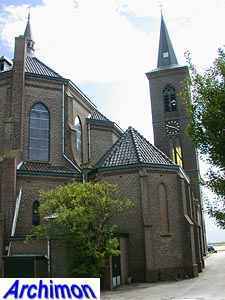 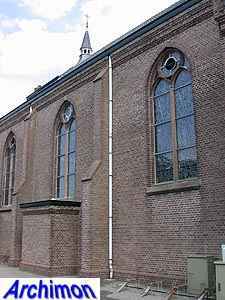 Although De Zilk is only a small village, it obviously was big and catholic enough for a church of its own. 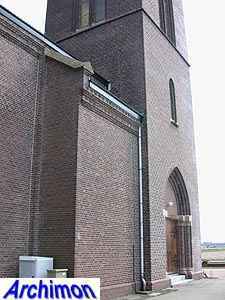 It was designed by Jos. 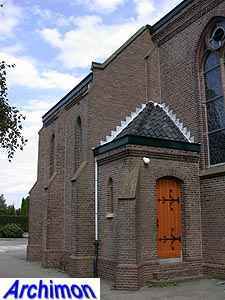 Margry and built in 1920. 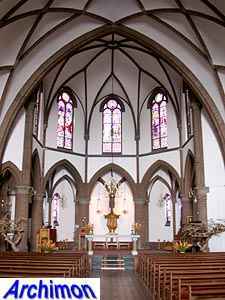 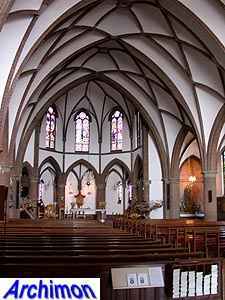 It's a three-aisled pseudo-basilica in a neo-Gothic style with a tower standing in front of the northern side-aisle. 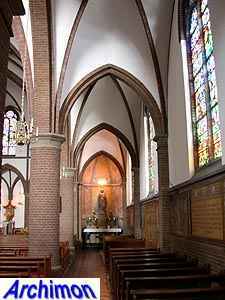 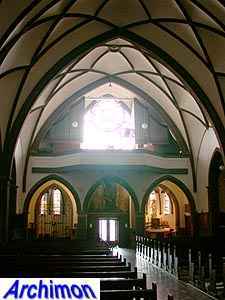 At the back is the choir with an ambulatory. 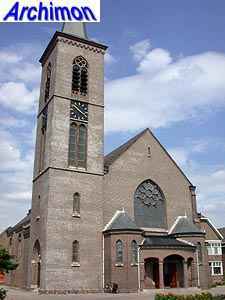 The front has a round porch which is flanked by chapels. 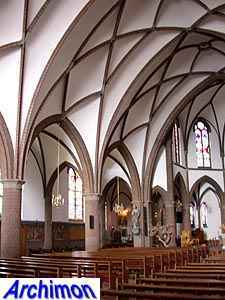 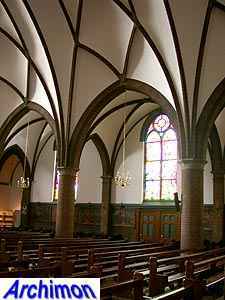 The interior is dominated by the stone vaults that cover all of the three aisles.